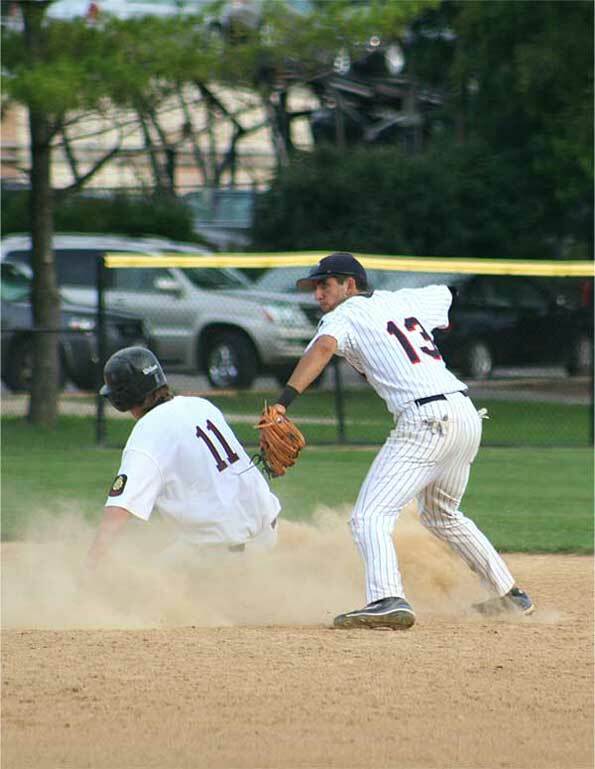 American Legion Post 208 shortstop Jason Leblebijian (#13) aims toward first for the 4-6-3 double play. The Prospect High School senior threw to first baseman Kyle Gaedele after taking a flip from St. Viator’s second baseman Brett Kay. Summer baseball 2008 at Recreation Park Tuesday July 29, 2008. Arlington Heights American Legion Post 208 beat Morton Grove.